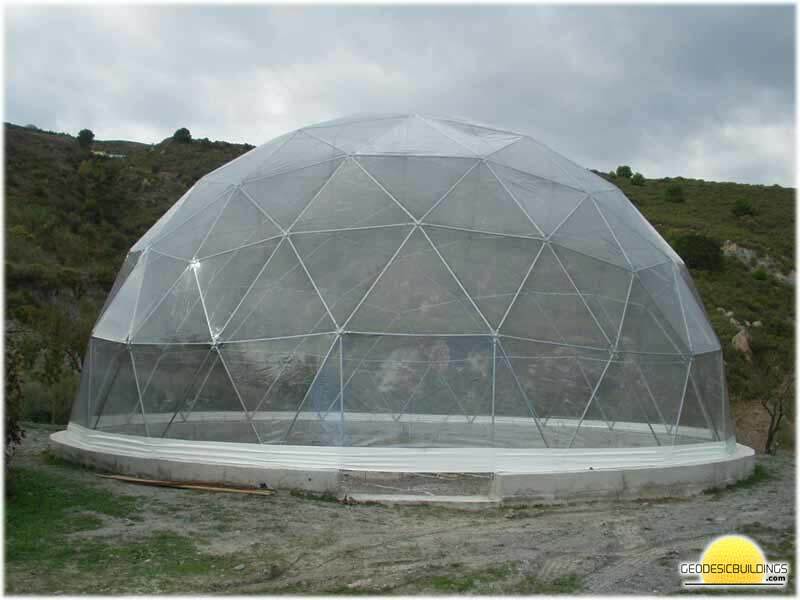 This is one of our geodesic domes with a PVC cover made to fit the frame. Its not only 100% water proof but suprisingly warm inside on a cold day. All of the seams are PVC welded as opposed to stitching improving the waterproofing and the strength of the seams. Windows & doors can be designed into the walls of the dome cover. Click here for prices or contact us for more details. Made from durable PVC 660 grams p/m2 or 580 grams p/m2. Transparent or opaque in any colour. The joins are welded using an infra red technique to create a strong, neat bond. The PVC complies with european standards click here for dome cover safety certificates. For a smoother look and feel with extra insulation we can provide an inner lining to the dome giving a quilted effect that can be great for visual projections and also provide that extra layer of insulation. Our inner linings have been sourced especially for projections and light shows.